William Kellie Bays, 78 of West Portsmouth died Saturday, October 20, 2018 at BridgePort Healthcare Center. He was born October 26, 1939 to the late Rece M. and Lillie M. Howard Bays. Along with his parents, he was preceded in death by a brother; Arnold Bays. 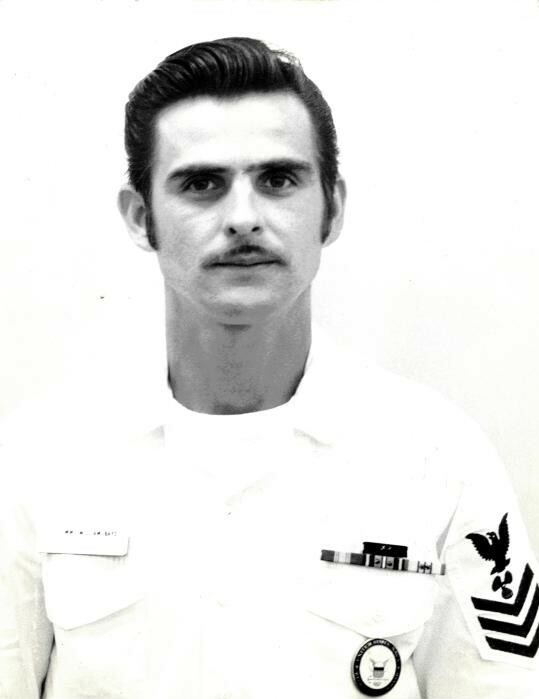 He was a 30 year retired United States Navy Veteran and a member of the American Legion Post #471. William is survived by 2 sons; William Vincent Bays and Victor Scott Bays, 8 grandchildren; Joshua Vincent, Kaylie Rochelle, Aiyana Nichole, Brooke Leanne, Halie, Isaiah, Braden, and Morgan McKenzie Bays, 4 great grandchildren, and a sister; Brenda Kay Sanborn. A gathering of family and friends will be held from 5 to 7:00 PM Thursday, October 25, 2018 at the People’s Tabernacle in West Portsmouth with Ben Musick officiating. Arrangements are under the direction of the Roger W. Davis Funeral Home in West Portsmouth. Condolences may be sent to www.rogerwdavisfuneralhome.com.